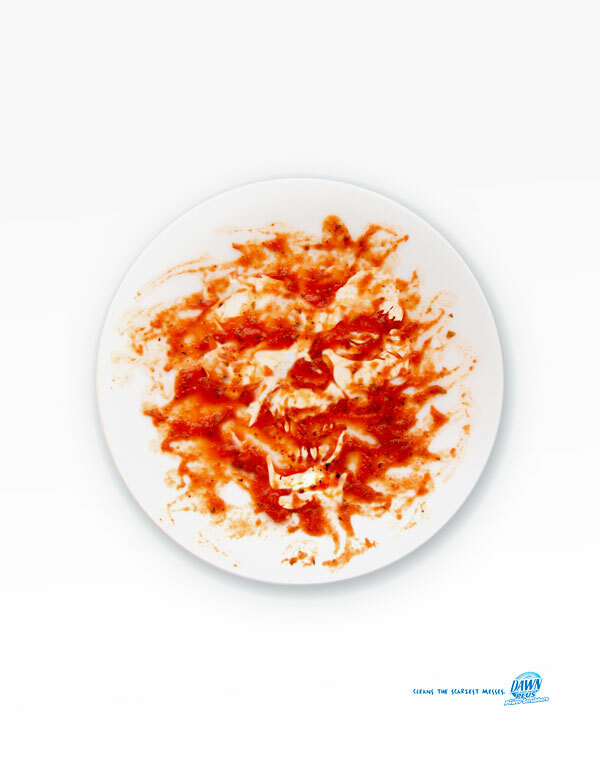 Dawn dish soap was developing a marketing campaign to be displayed at Cannes Film Festival. 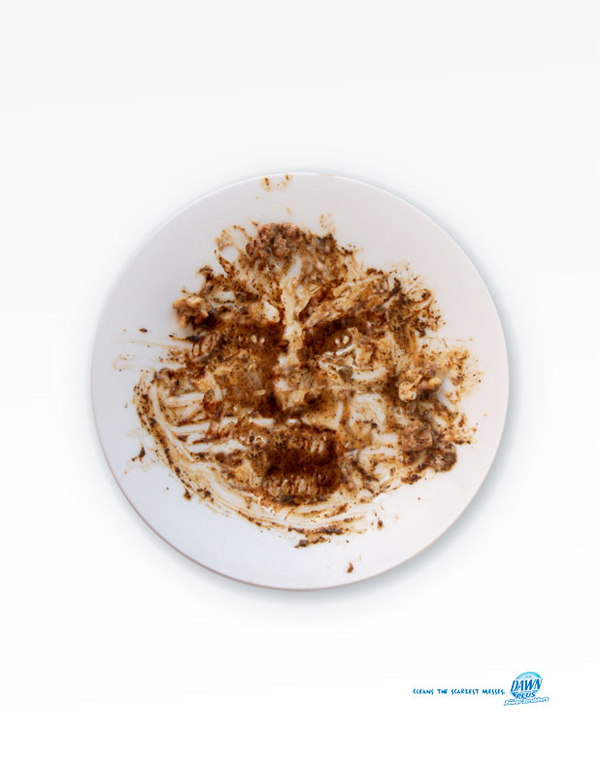 The concept was to create images of dirty dishes that featured hidden monster faces. 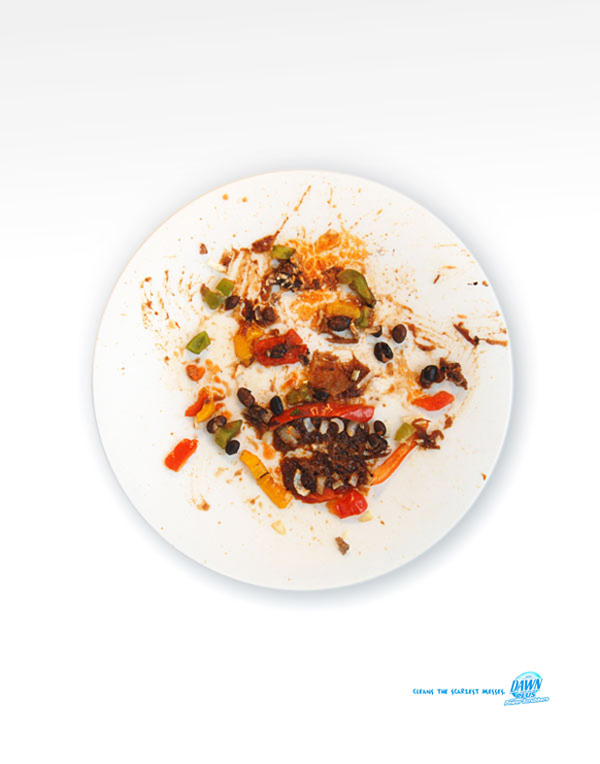 Our challenge was to make the dirty dishes look REAL. After a short exploration into creating these dishes digitally, we realized there was only one way to make them look realistic. We went to the grocery store and bought lots of messy foods and plates and went to work “illustrating” with food as our medium. 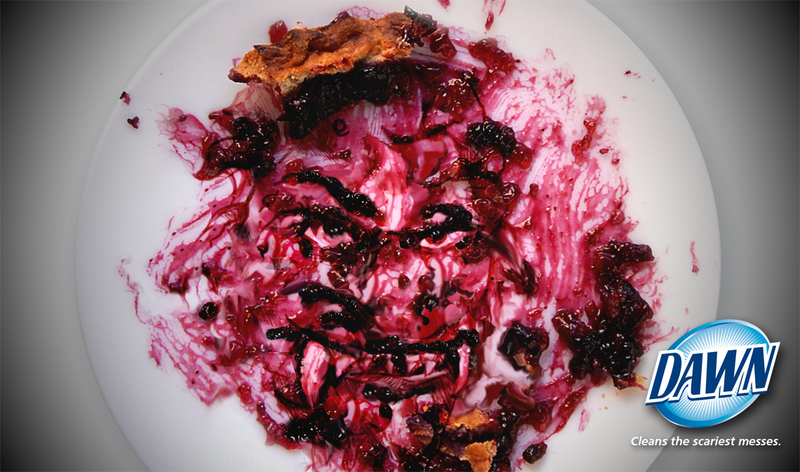 I’m sure we never imagined that one day we would be drawing with blueberry pie as our ink. Once we took the food illustrations as far as we could, we shot high resolution photos and used the computer for a little post-production work. The computer allowed us to make fine edits, add shadows and really make the monsters pop. The final product speaks for itself. 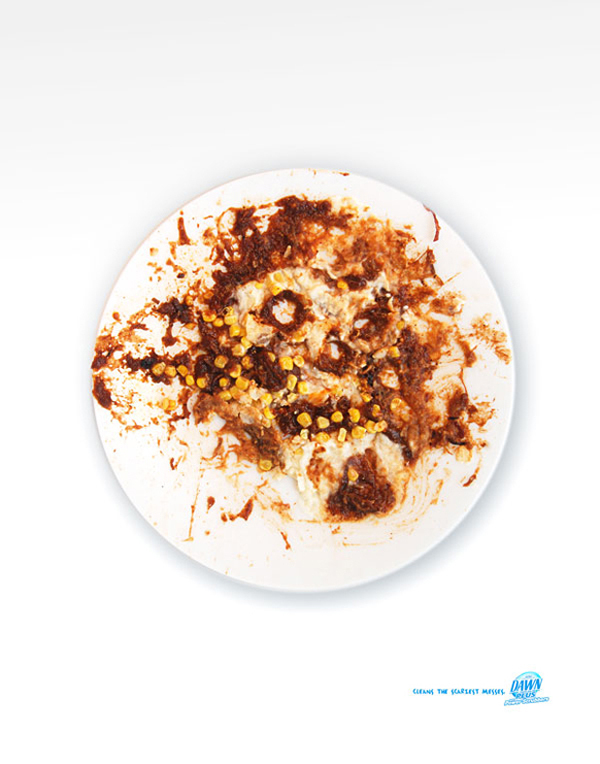 Upon first glance you see little more than a dirty dish. But if you look just a moment longer you’ll see the monster. And only Dawn can save you!